Releasing the Magic! 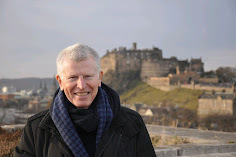 : END OF TERM FOR 'MADE IN SHEFFIELD' ... PASS IT ON! END OF TERM FOR 'MADE IN SHEFFIELD' ... PASS IT ON! I was over in Sheffield again yesterday for a meeting with colleagues from the schools working on the engineering/advanced manufacturing strand of the Cutlers’ “Made in Sheffield’ Programme. These schools are Bradfield School, Firth Park Community College, Handsworth Grange School, Stocksbridge High School, Westfield School and Yewlands Technology College. We met at Westfield School with John Barber from Workwise, who runs the programme on behalf of the Cutlers' Company, and George Kilburn, the Chief Executive of the Cutlers' Company. We meet regularly and this end of term meeting gave us an opportunity to catch up and review this term's programme after we had shifted from the programme starting in Year 10 to a longer and deeper approach starting from this September in Year 9. Everyone was incredibly positive about this terms activities and the feedback from the ambassadors was great. The approach we have developed places an emphasis on the development of character and generic skills working through an employer led approach and providing a rich and varied menu of opportunities powerfully connecting the students learning to the engineering and advanced manufacturing sector. 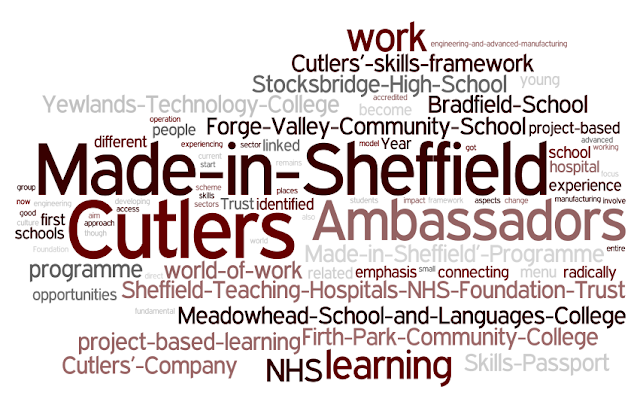 The new programme has got off to a brilliant start but the aim is to change the culture of learning in all the schools in Sheffield and, though the current focus is on Ambassadors, we recognise that the scheme must impact on the entire school with all students having access to learning which develops the Cutlers’ “Made in Sheffield” Skills. Skills, which alongside their knowledge and understanding and the best possible GCSE results, are essential for helping young people make the best possible start in the world of work, enterprise and opportunity.